Built circa 1908 by Felix and Lena Tomeo, this house was owned by the Tomeo family until the 1980’s when it was purchased by the City of Louisville. Grace Rossi and her 6 children rented the home from the 1920’s to the 1940’s. It is currently part of the Louisville Historical Museum. The leaves are falling! Drop in to our gallery for the First Friday Art Walk reception. 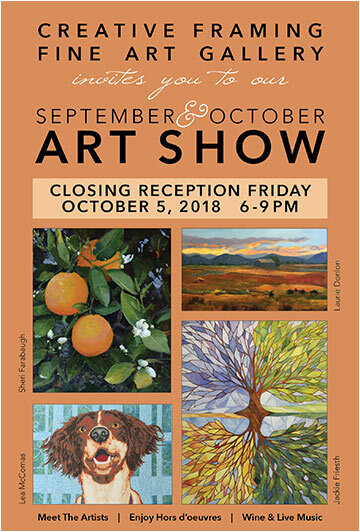 Acclaimed visual artists Jackie Friesth, Laurie Donlon, Lea McComas, and Sheri Farabaugh will be showcasing their artwork for your pleasure. You can also take joy in viewing the gallery collections from other local artists. 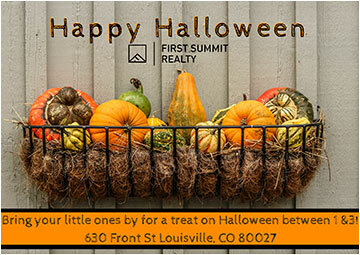 Come by for a Halloween treat between 1:00 and 3:00 on Halloween. 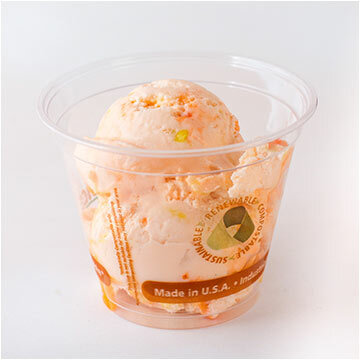 There is only one time a year when we bring out Candy Corn ice cream, and that is in October! Come celebrate Halloween with us in October when this creamy sweet flavor graces us with it’s presence! It is Boo-licious! Mountain High Appliance Now Open In Littleton! 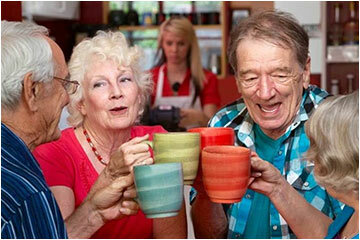 Thanks to the support of the Louisville community, Mountain High Appliance is expanding again! We are proud to present our new store in Littleton! With 15,000 sq. 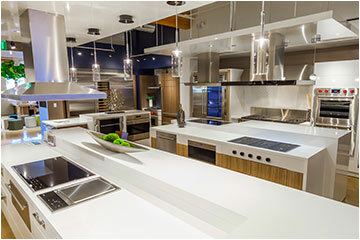 ft. of showroom space and over 300 live appliances, Mountain High Appliance in Littleton is the premier appliance showroom in Colorado, if not the West. Shop brands like JennAir, Gaggenau, Thermador, SubZero, Wolf, Whirlpool, Monogram, and GE, conveniently located 20 minutes from downtown Denver. Come by today and experience the difference! You’re invited to enjoy delicious pizza and drinks at this networking after hours at Lucky Pie Pizza on Wednesday, October 10th! Eat, drink and mingle with your fellow chamber members on a beautiful fall evening in Louisville! Please RSVP by October 8th. You are invited to join Mayor Bob Muckle as he gives us an update on what is happening in our beautiful city. Our new City Manager, Heather Basler, will also be in attendance. Thanks to our sponsor Community Solutions. The cost to attend the State of the City is $5 which includes your lunch. RSVP deadline is Monday, October 22. Share your unique but also common life experiences with others and discover the interesting stories we all have to tell. 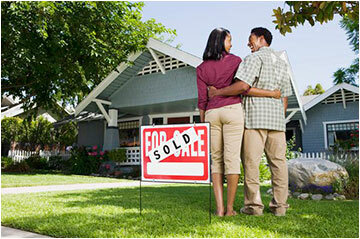 Join us to learn more about buying in this seller’s market. 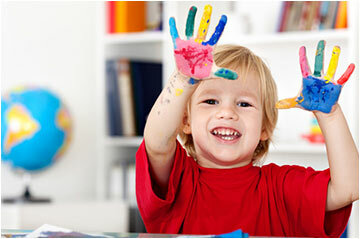 Messy art is a great way for your child to learn, explore, and have fun! Every session we will try a new kind of art-it’s guaranteed to get messy, so dress for mess! For ages 2 – 5. Space is limited; pre-registration is required. Registration opens October 1. Start your Halloween festivities out right with spooky Halloween stories from the Boulder Valley Spellbinders for adults and children ages 6 and up. 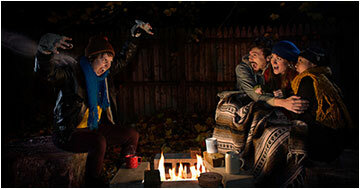 Bring a blanket or chairs, if desired. Rain Date: Saturday, October 27th. Get in the Halloween spirit at the library! 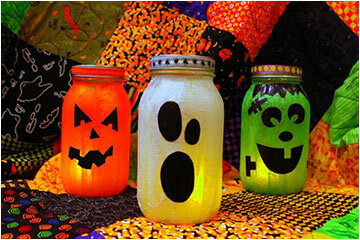 We’ll be making monster mason jar lanterns, and playing Halloween bingo. This program is for teens and tweens ages 9 and up.